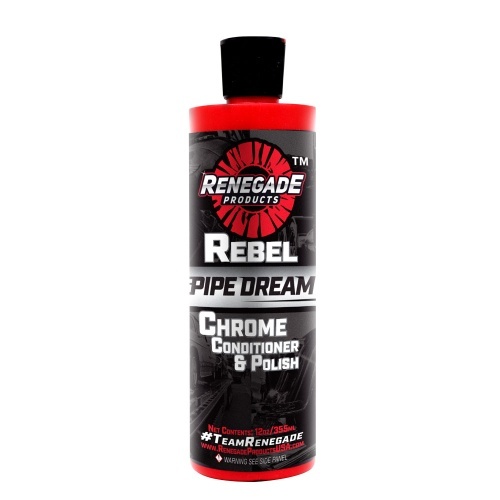 PIPE DREAM IS A WAX AND MICRO ABRASIVE FORMULA THAT CLEANS CHROME AND LEAVES A LONG LASTING SHINE. THE MICRO ABRASIVES REMOVE OXIDATION AND BLEND ANY IMPERFECTIONS. THE WAX AND SYNTHETIC FILLERS PROTECT YOUR CHROME AND LEAVE A RICH BOLD LUSTER.